The facility, to be located off the lobby of the West Baden Springs Hotel in this little southern Indiana town, is still vacant though Harner has no doubts that the Hall will be a major attraction when the Legends Championship returns to French Lick’s Pete Dye Course from Aug. 15-17. 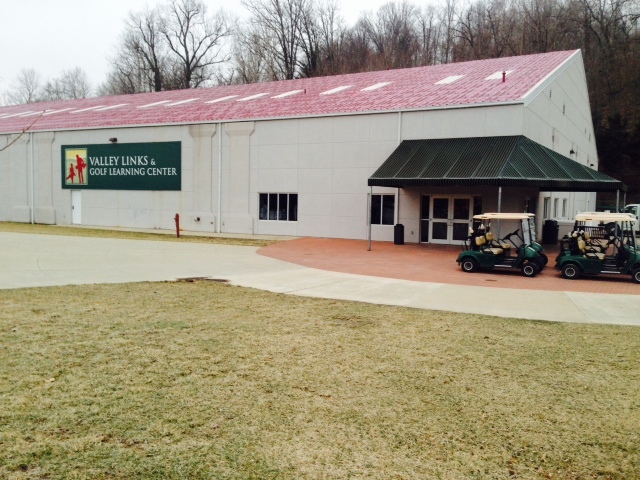 The indoor facility at Valley Links is French Lick’s teaching facility when the weather prevents outdoor play. French Lick’s history, though, is extraordinary on the women’s side and needs more in its Hall of Fame exhibit. The resort is well-stocked with art of the early 1900s and one, still unidentified, woman is prominent from the days when French Lick was one of the country’s most prominent vacation hotspots. “We’ve got eight-10 pictures from around 1907 to 1915, a time when you didn’t see many women in golf, and this same lady is in every one of them,’’ said Harner, who would like to find out who this mystery woman is. 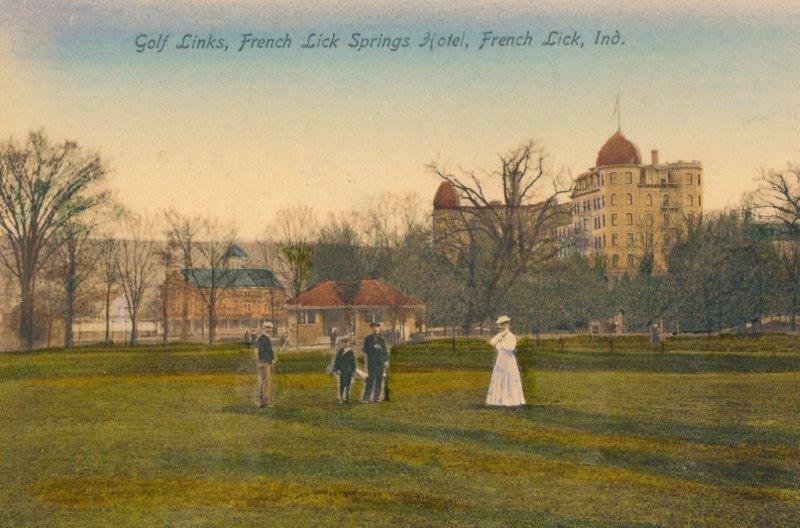 In subsequent years French Lick was an LPGA tournament site. It hosted a tour event in 1958 and the LPGA Championships of 1959 and 1960 before a tumbling economy eventually put the resort on the brink of closing. Louise Suggs won the tour stop in ‘58 and Betsy Rawls and Mickey Wright won the LPGA Championships. They were the first inductees into the Legends Hall last year along with Jan Stephenson and Whitworth, the ceremonies coming in conjunction with the Legends Championship won by Lorie Kane. The first Hall selections were obvious, though there were no big tournaments at French Lick for over four decades. Women still made use of the French Lick fairways, though. Springs Valley, the town’s high school, was known for its basketball teams thanks to the talents of Larry Bird. It didn’t have a girls golf team, but three of the town’s residents – Libby and Kelly Akers and Angie Mills – earned Division I college scholarships in the 1980s. Libby is now Libby Pancake, and the wife of Tony Pancake – the head pro at Crooked Stick, Indiana’s prominent tournament venue near Indianapolis. Libby played at Arizona State, Kelly at Southern Methodist and Mills at Indiana. They’ll also be part of the Legends Hall’s timeline, but there’s some suspense about who will be in the next class of inductees. Who is this woman? She’s pictured frequently on French Lick courses from 1907-15, and director of golf Dave Harner would like to know who she is. The list of candidates goes on. In the meantime, the Legends’ second visit to French Lick will immediately follow the Alice Dye Invitational. The Dye course will also be used for the Big Ten women’s tournament for the first time on April 25-27. The last two years it was played on the Donald Ross Course. French Lick originally had two 18-holers, the Donald Ross (or Hills) course and the Valley Links, as well as the one of the nation’s first par-3 courses. The Valley was closed in 2005 to make way for a casino and was rebuilt as a nine-holer honoring legendary designer Tom Bendelow and the teaching academy. The featured layout is now the Dye Course, which has hosted the Professional Players National Championship and will welcome the Big Ten men’s tournament again this spring (May 2-4). It’ll also get French Lick’s first U.S. Golf Assn. national event when the USGA Men’s Team Championship comes from Sept. 30-Oct. 2. “We’re excited to get that one and hope the USGA sees fit to use us again,’’ said Harner. Chances are it will, as French Lick will get even more attention in 2015 when the Senior PGA Championship is played there. The Ross Course will host the Indiana Southern Open, one of the four annual majors for the Indiana PGA, and the Monday qualifying round for the Web.com Tour’s United Leasing Championship, which will be played at Victoria National. French Lick will also host an Evans Scholars fundraiser for the Western Golf Assn. Instruction manager Mike Kerby has been teaching at French Lick since 1987. In the meantime golf instruction manager Mike Kerby and head professional Adam Marshall got the Academy program going for another season after the winter’s 30 inches of snowfall had melted. 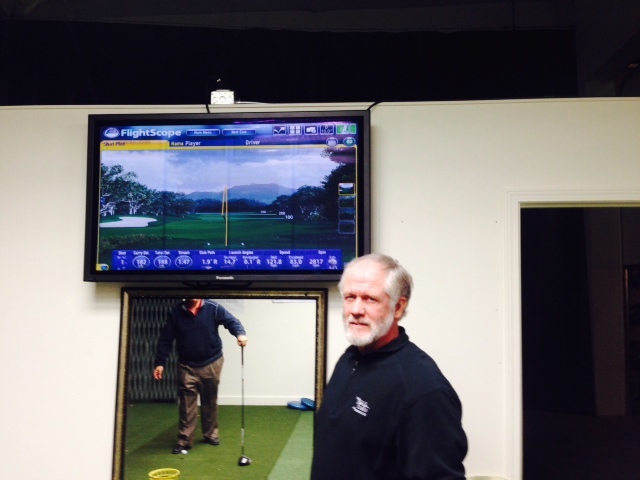 They toiled at the Valley Links indoor facility during the cold weather with Kerby additionally operating a club-fitting facility. He’s been teaching at French Lick since 1987. Moving outdoors, they offer a unique program on a practice facility honored two years running by Golf Range Magazine. Kerby has a maximum student to teacher ratio of 4 to 1 for three-day, three-night stays that feature five hours of instruction per day, unlimited golf on the Valley Links and Donald Ross courses and unlimited range and practice facility usage. Students can take a break from the instruction sessions whenever they want and can play their rounds before or after their instruction sessions.